There are lots of great amusement parks in California. One popular choice for families and friends, especially during the summertime, is SeaWorld® San Diego. This park offers a near-limitless amount of marine-life magic to its patrons, from rides and games to great shows and delicious food options. Here are some of the main attractions you can find at SeaWorld® San Diego. 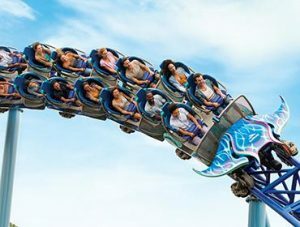 With a great variety of fast and exciting to more mellow for children, SeaWorld® San Diego has rides for everyone, including the Electric Eel rollercoaster, Riptide Rescue, and Shipwreck Rapids. Also, coming in May 2019 is a brand new white-knuckle rollercoaster, the Tidal Twister. Thanks to aRes Travel’s low SeaWorld® San Diego ticket prices, you can enjoy these fabulous rides without breaking the bank. If you’re looking for something a little more laid back, check out the shows that SeaWorld® San Diego has on offer. They range from 30 to 45 minutes in length and showcase the park’s many beautiful sea creatures. Depending on the show you choose, you could see dolphins, orcas, sea lions, and more! You can also see fabulous performers interacting with the animals. Visit SeaWorld® San Diego for less! With this much fun and excitement on offer, SeaWorld® San Diego might sound like it costs a fortune to visit. Luckily, you can enjoy incredible discounts at aRes Travel. 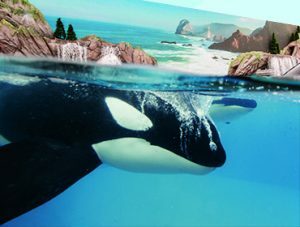 For giant discounts on SeaWorld® San Diego ticket prices, amazing savings on hotels, and exclusive deals on travel, call 1 (800) 434-7894 (international callers use +1 (619) 546-5622) to speak with an aRes Travel planning expert seven days a week, or book online now.